It was only last week that I showed you a picture of Diane Zdep's embroidered Oriental Beauty. Now she has done it again, with another finished beauty! Stitched in blue tones with a delft blue church scene machine embroidered in the centre it doesn't resemble my original version in the least. Diane has done some very pretty quilting, if you zoom in you can see the details better. 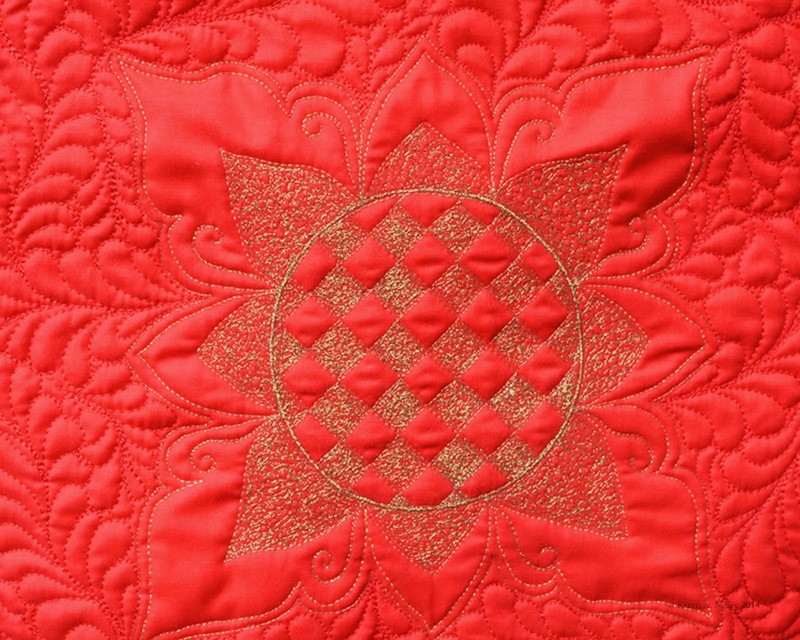 I especially like the radiating lines quilted in the corners as they help draw your eye to the centre. Here's my version. Stitched in scrappy Christmas prints it has a totally different look from Diane's nicely coordinated palette. 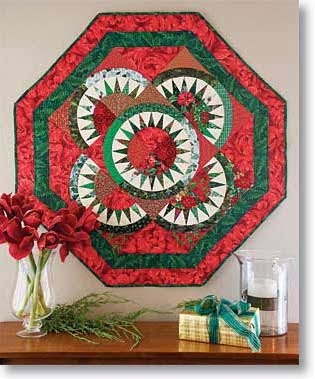 The pattern for Christmas Beauty # 308 is here on the checkout page of my website, or ask at your local quilt shop. Thank you, Diane. What's next for you? Two spots have opened up in the Free Motion Quilting For The Absolutely Terrified on September 13, 2014 in Amherst, Nova Scotia. If you are interested, please email. 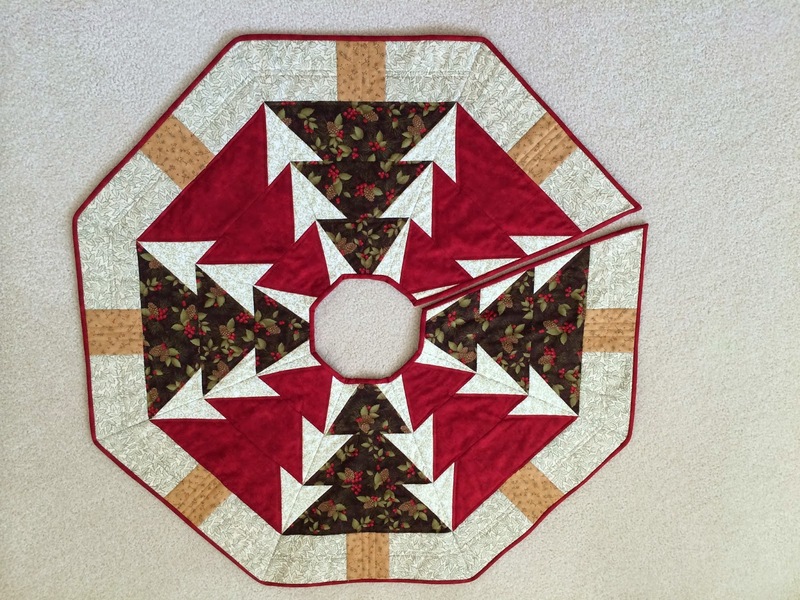 Diane Zdep from Alberta has been busily quilting up some beauties, including this one. Gorgeous! Diane writes: "I love this pattern I bought from you. This is my walk on the wild side with the centre machine embroidered using fall colors. It sure was a lot of fun to do. I love putting my own spin on things." The pattern for Oriental Beauty is designed with an easy method of appliquing the curves but Diane, who has no issue with curved seams, stitched hers the regular way. Thanks so much for sending the photo Diane. I know you are stitching away on a few more surprises, and I hope we get to see those soon! 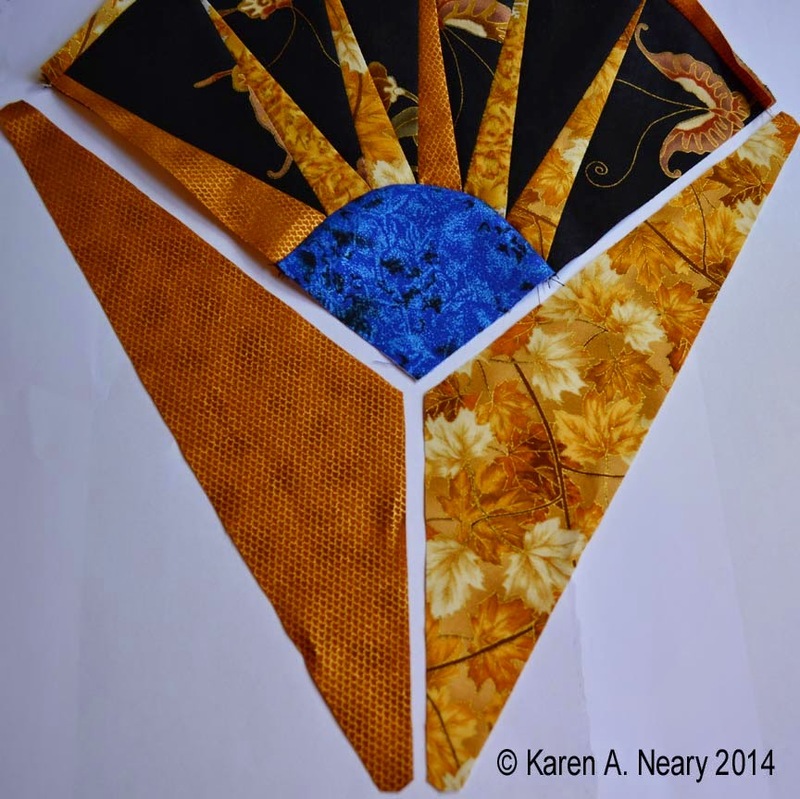 You can find pattern # 209 for Oriental Beauty on my website, or ask for it at your local quilt shop. It's a lovely light-weight batting which shows the relief of the stitches very nicely. 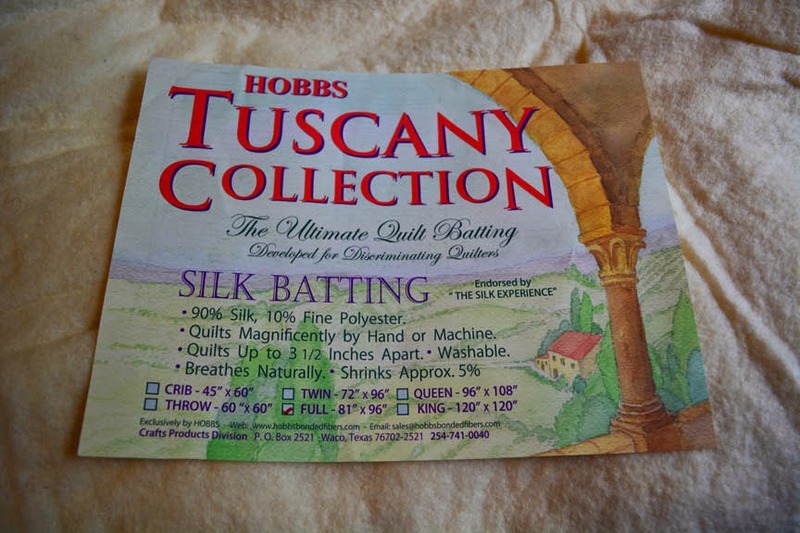 I will definitely be using this silk batting again. Even this small, heavily stitched piece drapes beautifully; it would be a dream on a bed quilt. 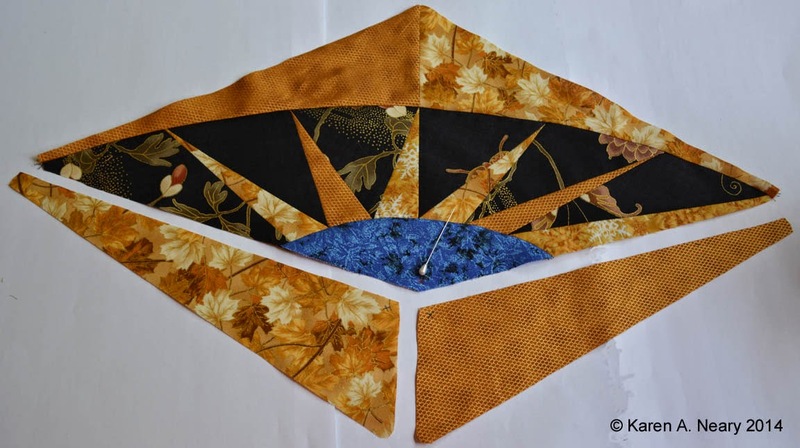 I stitched this sample of our project for our upcoming Free Motion Quilting For The Absolutely Terrified workshop using gold metallic thread but there isn't much sparkle showing in these pictures. It's a dark and overcast day here so I took the little quilt outside to photograph to capture as much light as possible. I ended up planting the hanger on top of a bean pole in our garden. It seemed a safe spot, as I had helpers in attendance. ...while Polly surveyed the situation from the other end. Maddie got bored and decided there was other trouble he could pursue. Oh, oh...look out Polly, he is slowly stalking you! We know what happened next. I didn't get a picture of the rumble as I was hurrying to get the quilt safely inside. No silk was harmed in the photographing of the quilt. 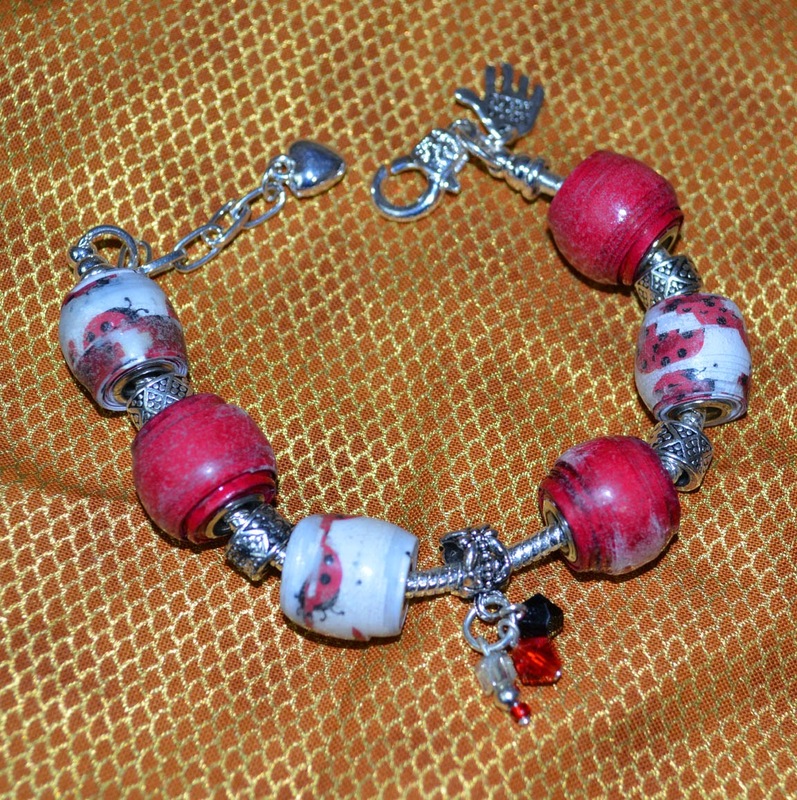 I have a very cool, handmade bracelet fashioned by Diann McDonald. 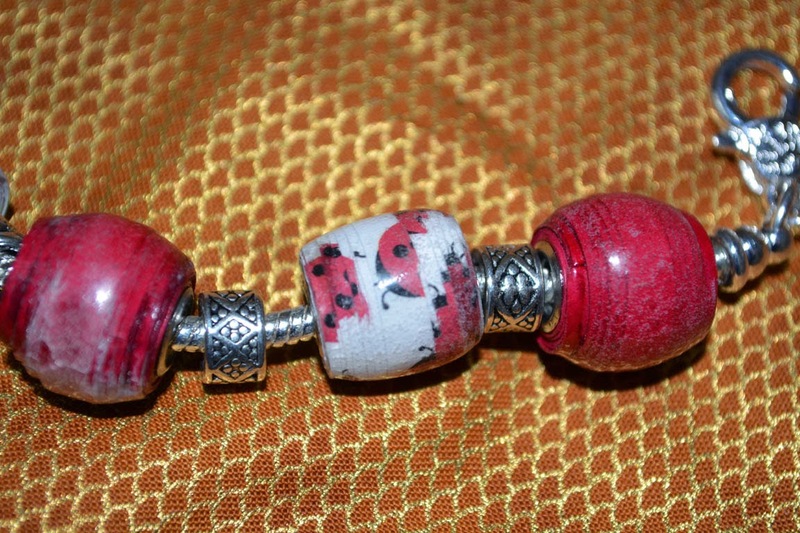 Can you guess what the beads are made from? Check it out here on the blog of the Nova Scotia Fibre Arts Festival. Some folks shy away from tackling Y (or inset) seams but in truth they are no more difficult than sewing a mitred corner. In the picture below you can see the Y shape formed at the intersection of the three seams. Whether your angle is 45°, 60° or even 120°, the method for stitching the Y seam is the same. At the intersection of the three seams, the stitching stops the distance of your seam allowance from the end, in this case 1/4". You can see X's marked 1/4" from the edge of each section to be joined. I don't usually mark the X's but just eyeball the distance, however if you are new to doing this a mark helps. You sew the first piece to the correct side up to the marked X. At the X, lock your stitches and clip your threads. The seam allowance at the end is left free. Repeat to sew the second piece in place, again stopping at the centre X. Place the side pieces (which will join to form the tail of the Y) right sides together and stitch from the X. Press the centre seam open, and the side seams down over that centre seam. Pressing the centre seam open reduces the bulk of the seam allowance at the intersection allowing your work to lay perfectly flat. Voila! A perfect Y seam. 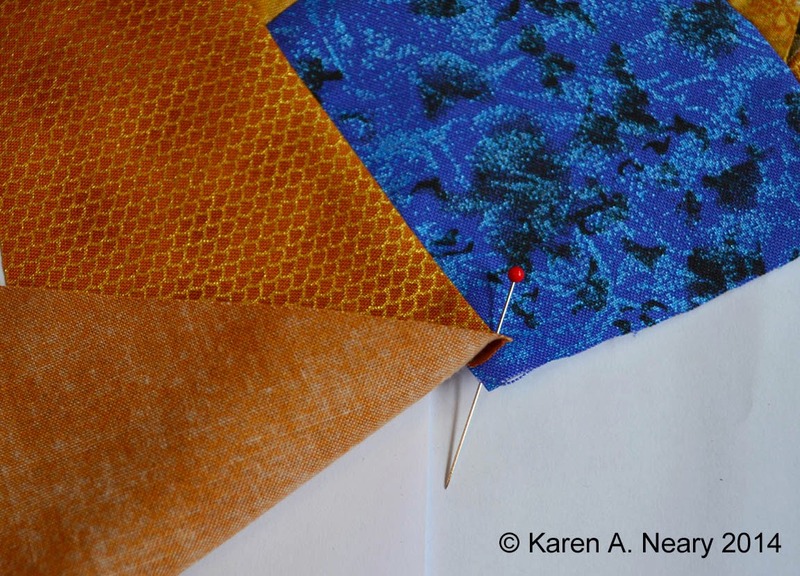 If you are looking to tune up your machine quilting skills before fall guild meetings resume, come join me in class to learn about free motion quilting. 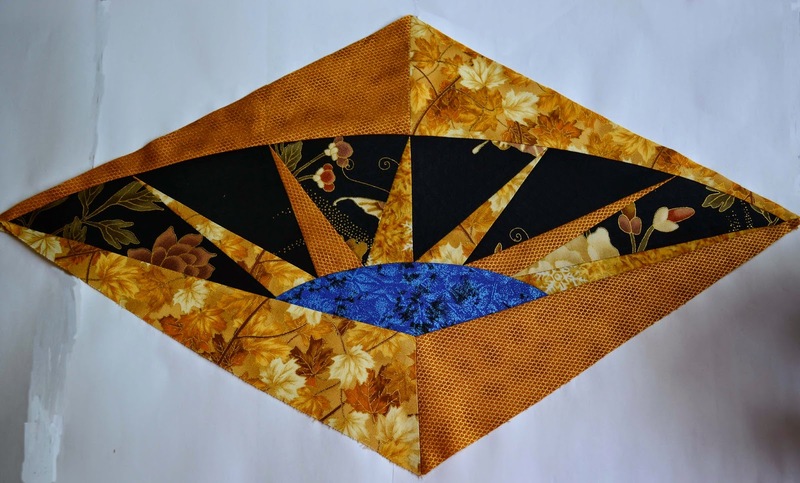 If you long to quilt your own quilt tops but are lacking in confidence or unsure how to get started in free motion quilting on your home sewing machine, this class is for you. 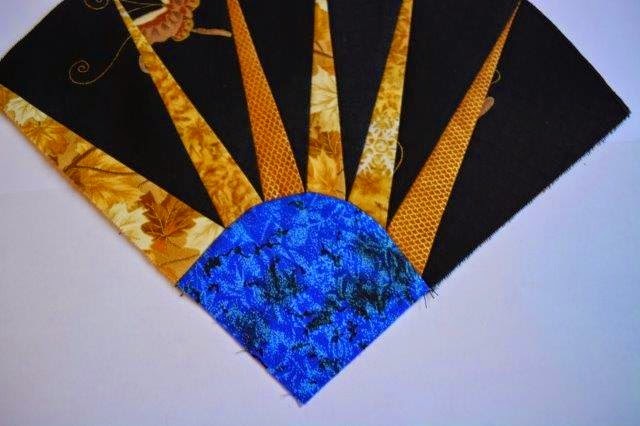 The class will cover the basics of free motion machine quilting including needle and thread selection, basting, batting, and machine tension. 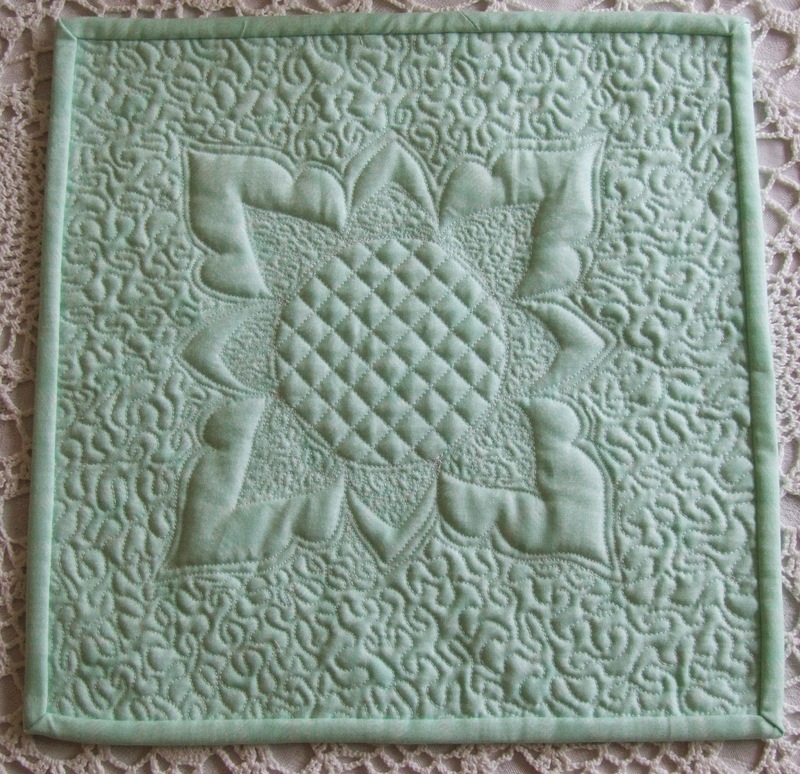 Sample squares will be stitched with various techniques including stippling, following a marked line, echo quilting, and freehand background fillers. We will then apply what we have learned to mark, baste, and free motion quilt the miniature whole cloth pictured in green above (fabric supplied in kit). 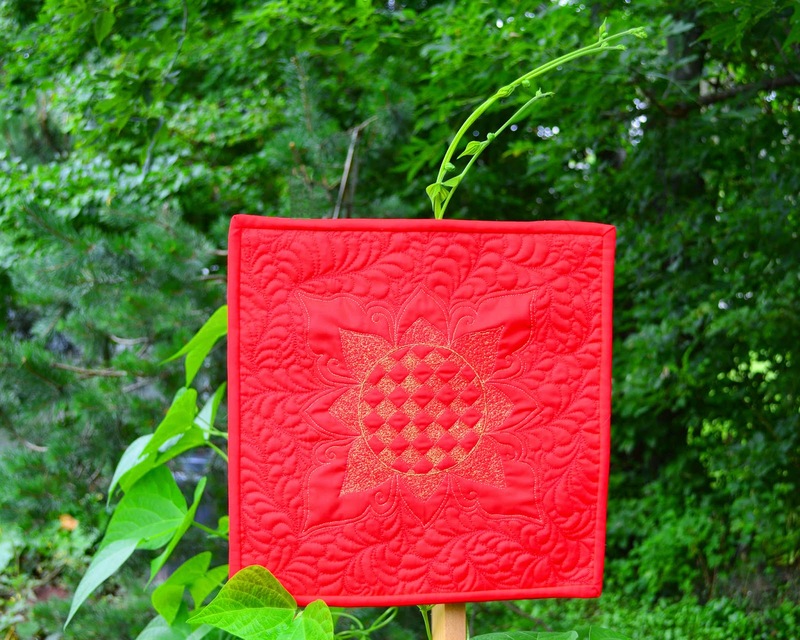 Many quilts will be shown for inspiration, including the red bag at the top of the post. It's the same motif we are quilting for our sampler, just made a little larger and stitched into a bag. 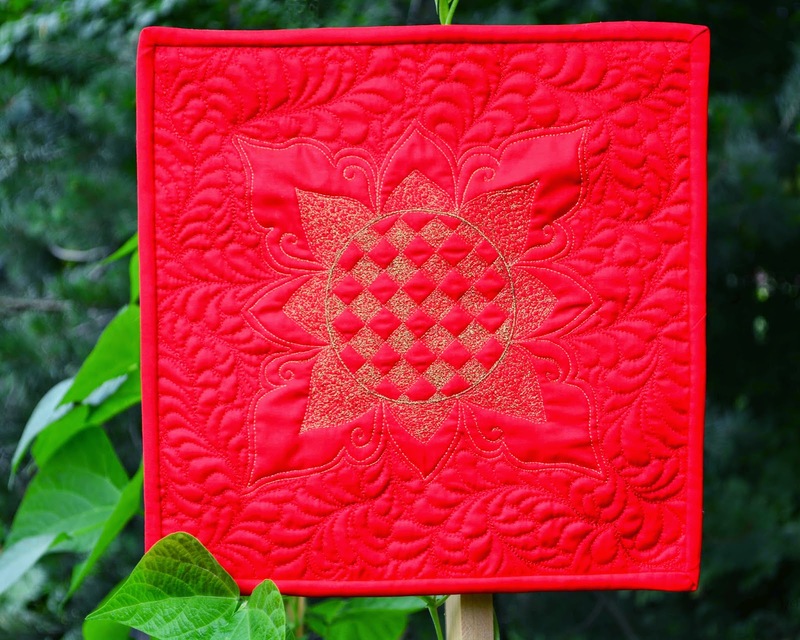 There is no pre-requisite for this beginner free-motion class, however you need to be comfortable with your sewing machine; this is beginner free-motion, not beginner quilting. The class will be held Saturday September 13 from 9:00 am - 3:00 pm at Mrs. Pugsley's Emporium, 50 Victoria Street, Amherst, Nova Scotia. The cost of the class is $70 which includes all handouts, pattern, fabric, and hanger for your sampler. Please email me to register. At that time a list of what to bring to class will be provided. It will be a very small class so get your name in quickly if you are interested. Samples may be seen in person at Mrs. Pugsley's Emporium. I am always envious of people so organized that they stitch their Christmas quilts in advance...and not two days before the holidays! This Santa's Trip Around The World comes in from Jeanne Speight of Fredericton (formerly from Oxford, for the locals reading who may know Jeanne). After Santa decided he would straighten up and fly the right way and not counter-clockwise (huh hmm...), Jeanne had no problems with her wallhanging. She writes: "Thanks for a terrific pattern! 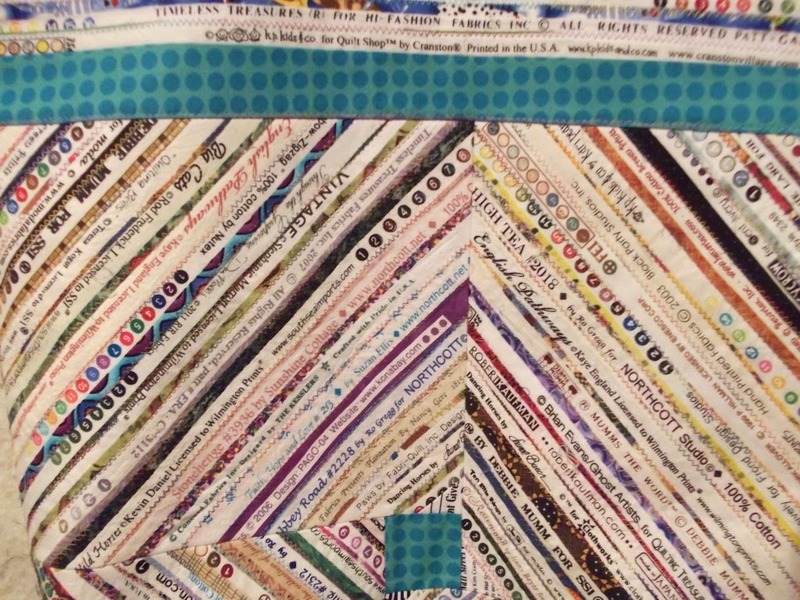 Your method of strip piecing the 'Around the World' background was so easy -- brilliant! It turned out great, Jeanne. The gold prints really add vibrancy to the traditional red and green. Thanks so much for sharing your talent. The pattern for Santa's Trip Around The World is available here on my website if anyone would like to give it a go. A big hello to all the new visitors who arrived over the weekend from a Facebook posting of Rhythmic, and a HUGE thank you for making the pattern the # 1 bestseller on the Craftsy site. 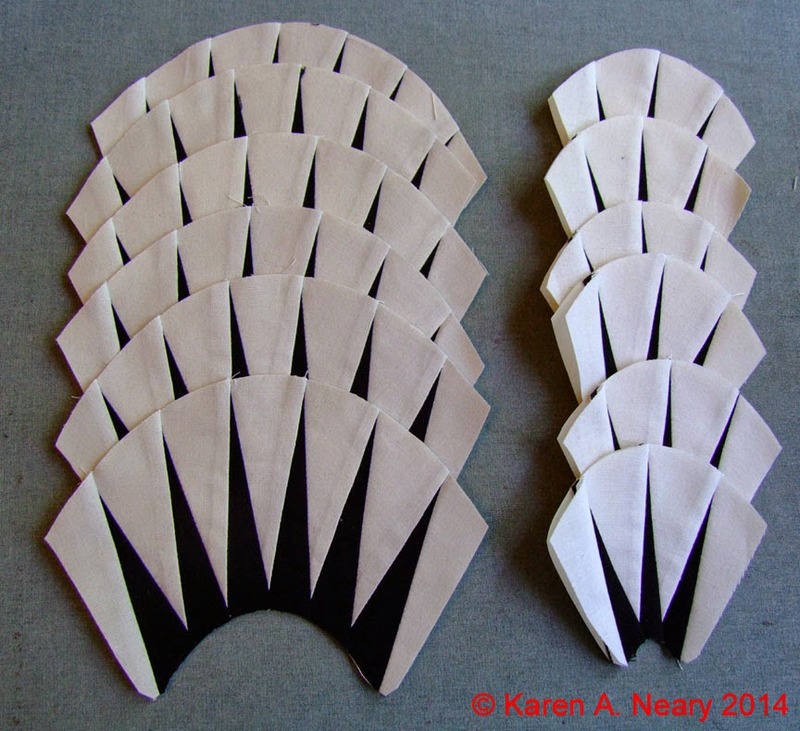 Some of those who downloaded the pattern have indicated they have already begun sewing! For those who ordered print versions, they are on their way to you in today's mail. Thank you! Pricing your work is never simple; there is no black-and-white, one size fits all formula. The hours spent designing, sourcing out materials, piecing, basting, quilting, delivering, and installing all need to be considered, as well as the skill and reputation of the maker. Recently I donated a quilt to be used as a fundraiser and was asked to give its value. I think the price - which in my opinion was kept very modest - rather surprised the non-quilters involved. Here's a post of an interview with Caryl Bryer Fallert-Gentry on the same topic which I found interesting. This is from the Kentucky Quilt Project nine-part documentary series titled Why Quilts Matter: History, Art & Politics. The series takes a look at the unique position quilts hold, ranging from women’s studies to the contemporary art market. More sew & tell, this one from Joanne Colleaux from Armstrong B.C. Joanne is an award winning quilter who seems to share my love of blue- green fabrics. 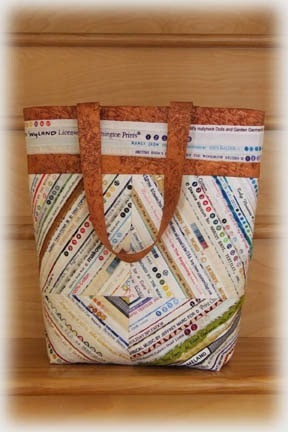 Joanne writes, " One of my quilting friends made the tote in the spring, and seeing how great it looked was the motivation to get this onto the to-do list. It was a fun project for me... I’ve never paid a great deal of attention to what was on a selvage other than the dots, but if asked, I would have answered that the letters were all black and in the same font. What a surprise to discover the reality, and be able to play with all that colour and variety in the skinny strings. 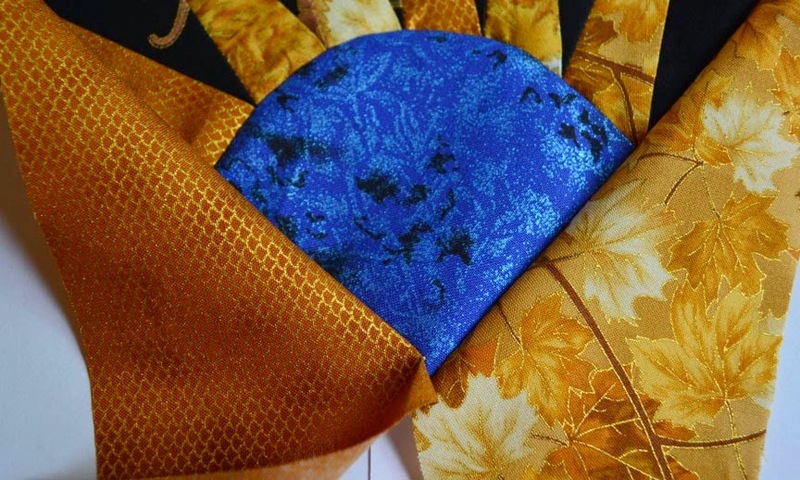 Although not all the related fabrics had meaningful connections for me, many did, and so it was also a nice trip down memory lane...thanks for your inspiration for yet another project." Typical of Joanne , she has put a unique spin on the tote bag adding a centre square to the intersection of the selvedge blocks, which are then joined through partial seams. From the picture, it looks like Mirror Ball Dot for the square and trim...? Joanne also used variegated thread in a zigzag stitch to anchor her selvedges, thus adding another bit of colour. Thank you Joanne for sharing your beautiful bag. 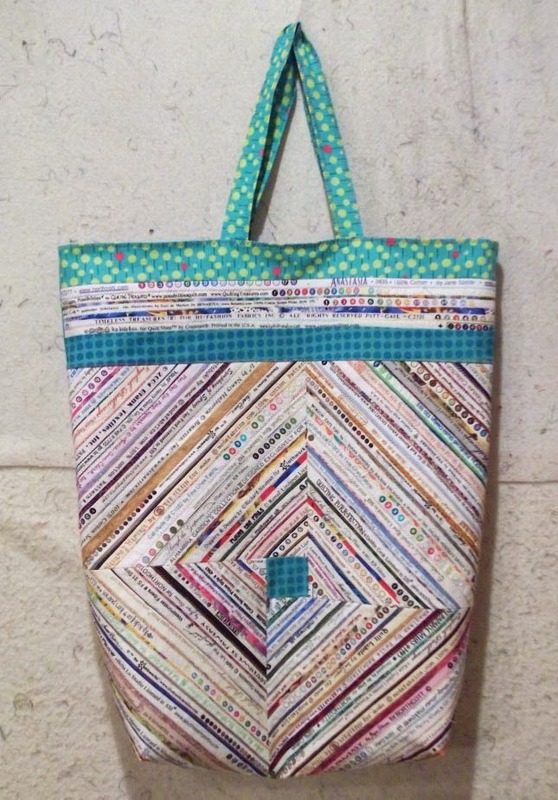 The pattern for the Selvedge Tote is available from my website or an an instant download through Craftsy. Friday while I was at Mrs. Pugsley's Emporium, a new shipment of fabric arrived. There it was - right on top - the blue I had envisioned for my latest project. It's Michael Miller's Fairy Frost by Mark Hordyszynski in a colourway named Ocean. I was so excited to find it! 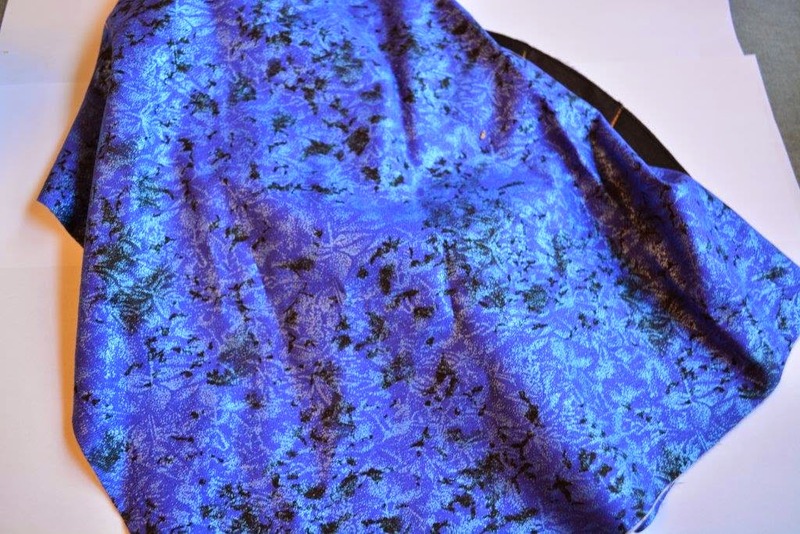 However, this very intense blue with it's black undertones is not destined for use in a marine themed quilt, but rather will be night sky among my stars. Intriguing to think about how deep ocean and far away sky are imagined to be the same shade. What a rush to open an email and find it contains a picture of a beautiful quilt - it's like opening an early Christmas gift. This version of my Woodland Forest Tree Skirt was made by Diane in Oregon who has done a masterful job in choosing her fabrics. The secondary design of star points radiating from the centre really pops against her trees of complementary colours. Dine writes this: "Originally, when I was sharing the pattern and the fabric I'd selected with my mother (83) she didn't "see" the trees, her focus was drawn to the secondary design... so interesting, as I totally saw the trees. So, I decided to try doing the secondary design in all one fabric, instead of the three (light, medium, and dark cream/gold). It's hard to see in the photo, but the fabric I used has a cream background with a gold scrolled/filigree type design; I was hoping that keeping it all the same would make the trees "pop" more." Mission accomplished! You can see my original blog post on Woodland Forest by clicking the link. The pattern is available from my website, your local quilt shop (ask them to order it in), or as an instant download through Craftsy, which is where Diane purchased her pattern. Thanks so much Diane for sharing your beautiful work - your sister is going to love having this under her tree for many Christmases to come.